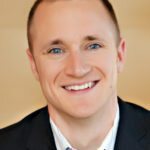 As founding CEO of Animoto, Brad Jefferson leads the charge in driving Animoto's vision of making it easy for anyone to create powerful, professional video. Today, Animoto's 13M+ users span the globe and create over 1M Animoto videos every month. Prior to co-founding Animoto in 2006, Brad spent eight years with Onyx Software in a variety of services and management roles and saw the company grow from a 17-person start-up to an 800-person public company. According to the National Association of Realtors, millennials make up the largest percentage of homebuyers today. This generation grew up on the Internet and expects to be able to find everything they are looking for online when shopping for a home.